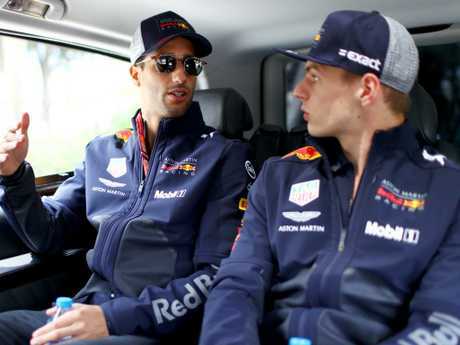 FURIOUS Red Bull boss Christian Horner has demanded Daniel Ricciardo and Max Verstappen apologise in person to the team's 800 staff following their crash at the Azerbaijan GP. 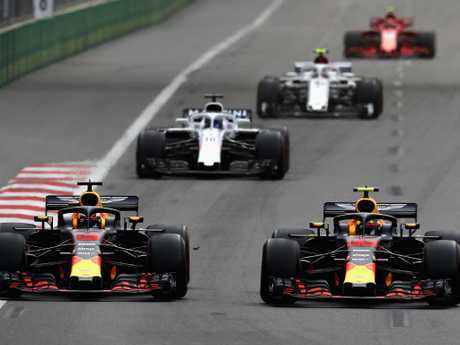 Verstappen and Ricciardo had been at each other's throats for much of the race on the streets of Baku - which was won by Lewis Hamilton - and their high-speed collision with 11 laps remaining appeared almost inevitable. On the longest and fastest straight on the Formula One calendar, Ricciardo lined up his overtake in the battle for fourth. But as Verstappen moved to his left to cover off his teammate, Ricciardo was left with little room for manoeuvre and thudded into the back of him. In an instant, both cars were wiped out of the race. Adrian Newey, Red Bull's technical boss, removed his headset in disgust and stormed straight from the pit wall to the garage. Horner sat motionless, aghast at what he had just witnessed. "The most important thing is that they both recognise that what happened today is unacceptable," Horner said. "We've let them race hard against each other, but unfortunately today has resulted in the worst possible scenario, where you've had both drivers make contact and retire from the grand prix. It is enormously disappointing. They are both in the doghouse. "What's annoying is that we've given away an awfully large amount of points today, so both drivers will be apologising to all the members of staff, who work so hard to put these cars together, before the next race in Barcelona." Stewards hauled both men before them in the hours after the race and determined they were equally at fault, hitting them with a reprimand. Ricciardo was dejected after the race. "I'm pretty down. We're thankful that we are allowed to race. Max and I love to race as we show," he said. "We did get close a few times in the race already touching. Sometimes we were on the limit and unfortunately it's ended how it did. "The incident itself, it's a tough one. I thought the gap was opening up on the inside and once I was there I had to commit to that. I'm heartbroken for how everyone is feeling in the team right now. "We're not into each other right now, it's more just about saying sorry to the team and just apologise the best way we can. We don't want to be in that sort of situation." Niki Lauda, the non-executive chairman for Mercedes and three-time world champion, however, laid the blame firmly at Verstappen's door. The 69-year-old Austrian, who was also critical of Verstappen after the last round in China, accused the young Dutchman of weaving in his attempt to stop Ricciardo from passing. It is Verstappen's third collision in as many races following run-ins with Lewis Hamilton, Sebastian Vettel and now Ricciardo. "It is 70 per cent Verstappen, and 30 per cent Ricciardo," Lauda said. "If you move on him all the time where can the poor guy go?" Lauda added: "I would go home and cry. It is a disaster. I would bring them both into the office, and tell them how much less they will get paid for the damage they have done." The incident comes as Ricciardo is publicly considering a move to Ferrari or Mercedes for next season. The stewards ruled that Verstappen had moved twice to defend his position - when only one move is allowed - and said Ricciardo admitted he left it "too late" to overtake. Both drivers received a formal reprimand, and each apologised to Red Bull. "This is the last thing we wanted. We want to be able to race and I'm thankful that the team let us race," Ricciardo said. "Everyone is pretty heartbroken." Verstappen said he and Ricciardo had met and apologised. He said the crash was "unnecessary" but held no grudge against his Australian teammate. 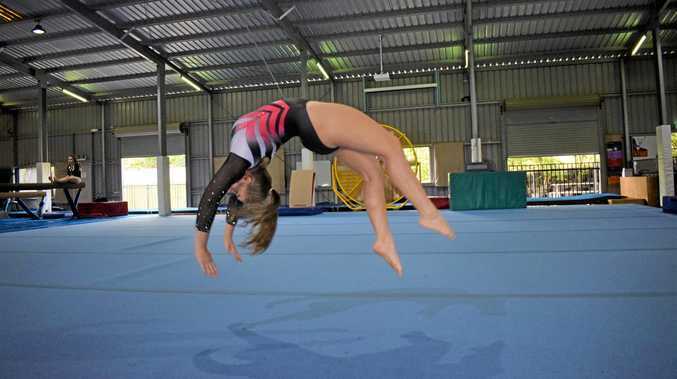 The 20-year-old Dutchman said: "It's really disappointing for the team. We lost a lot of points today, unnecessarily. "I don't think we need to speak about whose fault it was because at the end of the day we are racing for a team. We are representing a lot of people and when this happens it is just not good for both of us. "The tow was very strong so as soon as (Daniel) was in front I was catching up again and we were pretty similar speed. We were always very close to each other." Verstappen had no complaints about the hard but fair wheel-to-wheel racing that took place before the pair's clash. "Before that it was hard racing but fair, we gave each other space. We had this little brush with the wheels but I think in racing that can happen. What happened after that is not good," he said. "This has happened before and you learn from it. We have to make sure it doesn't happen again. It's not only down to us, we speak to the team as well what we will do in the future. I don't think letting us not race anymore is the way forwards but we will talk about it." "Daniel and I are okay with each other," he said. "As racing drivers you go through every inch and of course you are not happy when you collide to each other as teammates but we are very fair to each other so we spoke immediately after the race."